Mathematics and computerization have rebirthed the ideal anyway. If past experts didn’t get it right, a new crop will using the most modern of sophisticated digital tools. The very notion of technocracy is within reach, at least that’s what they keep saying. They’ll defend it to the end no matter how much damage it keeps doing. It turns out we know more about economic policy than we think we do. Much (certainly not all) of contemporary economics has a pretty good idea of how the system works and fails. Scholars understand the hydraulics, as it were, of both the macroeconomy and critical subsystems such as health care. You know who disagreed with all that? Not Janet Yellen, that’s for sure. She was running around during the last half of 2014 talking about the economy at risk of “overheating” in the same manner Mr. Bernstein described. Then oil prices crashed and she was forced to back way off in favor of “transitory” and “oil crash is a tax cut” rhetoric. For the whole of 2016, the very first Fed “pause.” All very unexpected, of course. No, the bond market disagreed with the technocracy. And it was proved right for what was then a third time. 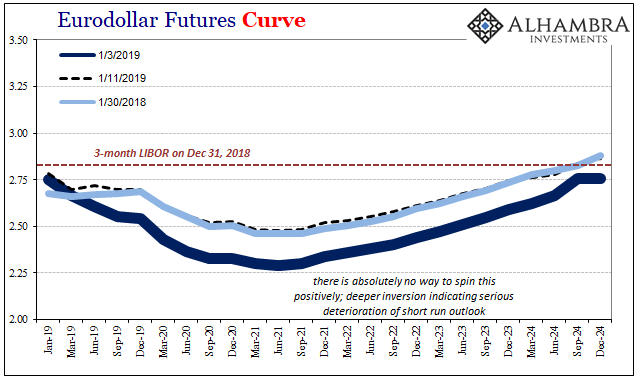 The yield curve collapsed (corroborated by eurodollar futures and swap spreads) when it should’ve soared with the real economy really doing that. 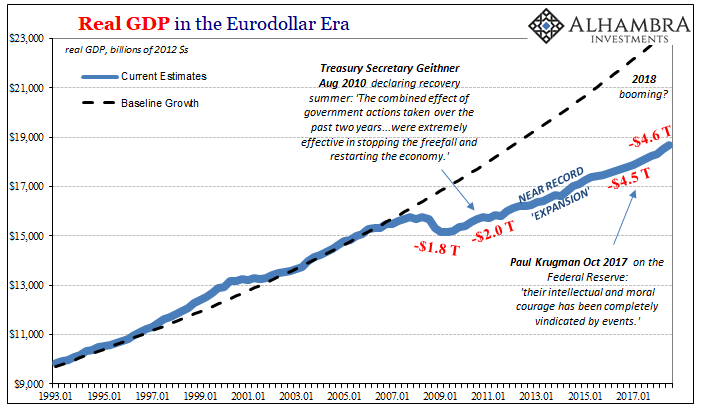 Instead, the faltering recovery following QE3 (and 4) was propped up by words because there are so many politicians who want to see the idea of technocracy succeed they are willing to straddle the line between hyping and outright lying in order to make you believe it. But the technocratic failures accumulated and 2016 brought with it a broad global burst of populism in all sorts of places, the very backlash against these “optimal outcomes” that time and again prove never more than academic fanfare. A year later, anxious to revive the dying ideal, proponents latched onto “globally synchronized growth” out of sheer desperation. I wrote in August 2017 how the media long skeptical of the maestro had suddenly embraced the man once he enthusiastically boarded the interest rates have nowhere to go but up train. The media, however, loves him [Greenspan] again because what he says would if it happened vindicate their position, that populism is predicated on racism or xenophobia rather than a legitimate complaint that the “elites” really don’t know what they are doing. Again, it’s not really a lucid or scientific way to consider these circumstances. You know who disagreed with the media? The bond market, again. 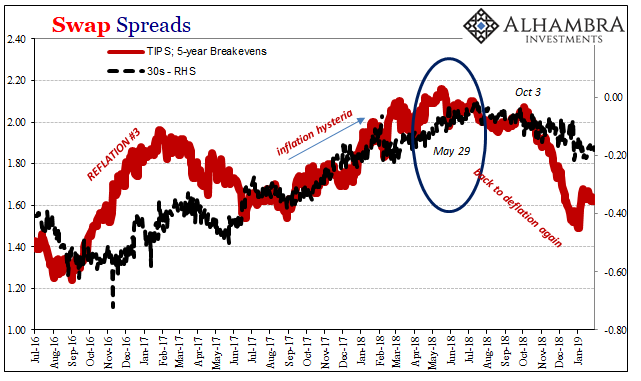 During all of “globally synchronized growth” and its shrill offshoot of inflation hysteria the flattened curves uniformly said it wasn’t happening. In pure technical terms, the bond market complex declared the Fed never gets to 3%. It was the de facto line drawn in the sand.  If the technocrats like Bernstein and Yellen were right, bond market massacre. What were the chances? As of today, the bond market wins. Again. The Fed’s January 2019 statement says it all. They aren’t going to get to 3%, stopping three RHINO’s short just as the curves predicted all along. The incompetent technocrats are so unnerved that officials are now questioning balance sheet normalization, the so-called QT. They’ve gone from “impenetrably strong economy able to withstand anything and everything” to “so fragile 2.40% EFF is a danger to the whole world” in a matter of five weeks. And yet, the stock market today wildly buys on the technocracy’s explicit surrender? Efficient markets, I guess. 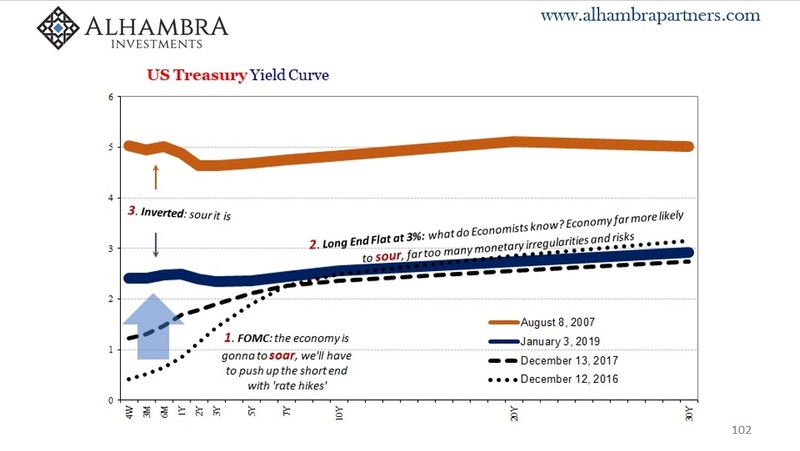 Investors are perversely cheering how the bond curves were actually right the whole time; sour not soar. I know, everyone is giddy because they’ve been taught rate hikes and QT were the whole problem. Now in the reverse of rate hikes and QT everything will go back to “strong.” The competent technocrats so screwed up their exit they’ll have to stop long before they wanted. And that’s the most charitable interpretation. The money curve version is far less kind. An entirely “dovish” Fed at this late stage is the Bank of Japan. That’s nothing to get excited about along any timescale. 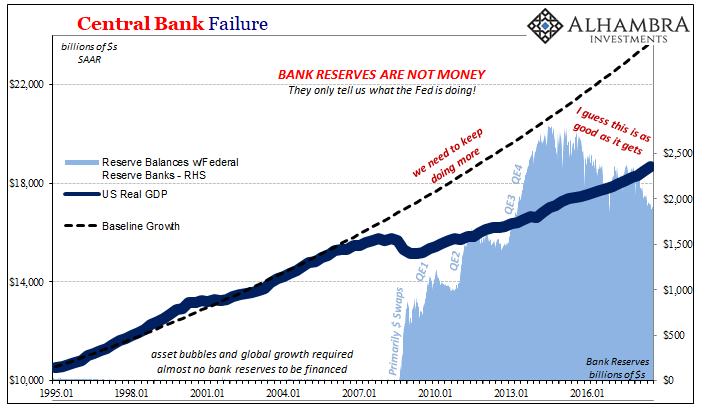 The clowns running the BoJ get to keep running the BoJ because technocracy is an ideal which will not disappear quietly no matter how many decades have to be sacrificed in the off chance one day it gets it right. Mr. Powell, can you give the DJIA any reason why you should not be in the penitentiary?